With his invitation, we had a takoyaki + Japanese style curry party. 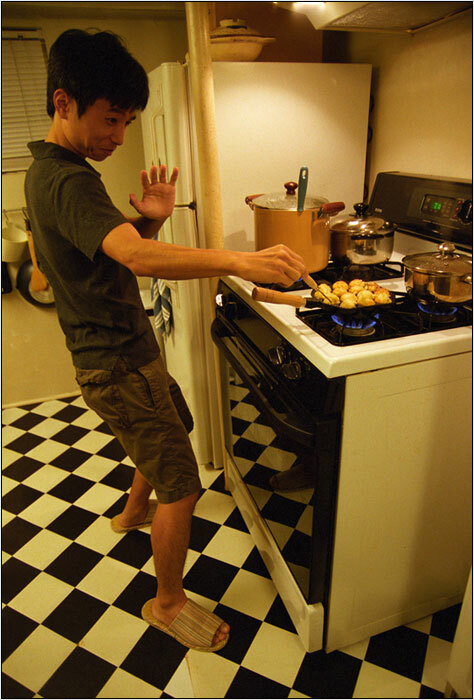 He's flipping a takoyaki. 사토루의 초대로 맛있게 해먹었던 타코야끼 + 카레 파티에서 현란한 뒤집기 솜씨를 보여줬다. 아쉽지만 곧 석사를 마치고 원래 다니던 동경의 토시바로 돌아간다.. This photo has been viewed 2468 times.